July | 2015 | CAN YOU HEAR ME NOW! It’s a long one – but please watch it! This time is about brother vs. brother; Cain vs. Abel, Ishmael vs. Isaac, Joseph vs. 10 Brothers…it’s the 5 Wise Virgins vs. the 5 Unwise Virgins – it’s all the same. It’s about the Jewish Kings Calendar vs. the Jewish Gentile King Calendar (Spring/Fall New Year) as well as the King of Israel vs. the King of Judah and all the past Kings who fought before them. July 21 – 22, BIG BIG WATCH TIME!!!! It’s the 1…22 or 122 that the Lord gave us, it’s also 7/22, 1/22,12/22, 6/22, 7/6, 1/6, 12/6, 3/22, 9/22…yes, July 22 is ALL THOSE DATES!!! Hopefully, this is the time the Lord removes us to “hide us for a little while”!! Love to all and may the Lord have mercy, love and forgiveness upon us all!! See you soon friends! 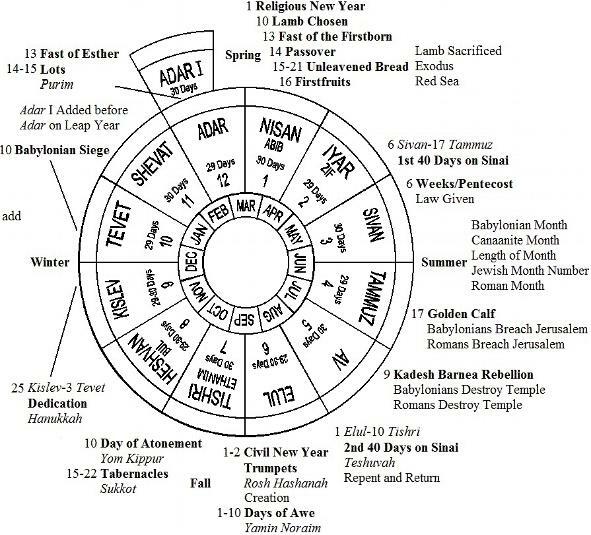 Before we get started, I wanted to post some examples of the Hebrew/Jewish Calendar Wheels so you could see the months and seasons. Some start with the Summer first and that is when God’s 5th outer wheel is turning counterclockwise. THIS LAST CLOCK CALENDAR WHEEL, IT SHOWS THE “MINUTE” INCREMENTS BUT I WANT YOU TO NOTICE THE “3RD & 4TH” HOURS…THAT IS WHEN THE LORD SAID THERE WOULD BE “WAILING”…ALSO, I BELIEVE OUR “MINUTES” HAVE BEEN CUT DOWN TO “40”. Wow, talk about a time to be alive – this is it! These past 2 weeks have been exceptional – or at least part of it has. On July 4, I feel down a flight of wet wooded deck steps and truly thought I broke my hip. I could not walk and the pain radiated like hot coals throughout my body. I could not move my left leg or really, my left hip socket forward or back, but I could walk sideways! I hit my back shoulder blades, along with the back of my head just as hard which left me not only with severe bone bruising but also a concussion. My family had to call 911 an hour or so later because I could not sit, walk or stand. So, off in the ambulance I went to the local hospital so they could do X-Rays and Cat Scans to make sure nothing was broke and to see if all my titanium rods, plates, screws and cages (already placed in my back in the latter 90’s) was still in tact; they were. After a pain shot, vomiting, tears and constant prayers, I left 2 hours later and came home. But…not before I did some ministering to all the hospital personnel who were taking care of me!! So me! I had to rest for the next 5-7 days as I was not able to bend down or walk securely without doing my Mr. Tudball imitation (Tim Conway’s character on the Carol Burnett Show). It was a much needed “time-of-rest” the Lord wanted me to take so that I did! During the last week, He has been incredible, truly AWESOME in what He has allowed me to see, learn and share as this was the last bit of Divine Heavenly Knowledge, Understanding and Wisdom I had prayed so long for in order to fully complete my Race and cross His Banner of Love full speed as He was granting me my continual prayer request and made sure I didn’t flat out fall just prior to the finish line from those ‘ole “Jelly Legs”! I now will share with you what I know to be truth about the time we now are walking to and from. The Talmud (Rosh Hashanah 10b-11a) cites two opinions as to the date of G-d’s creation of the universe: according to Rabbi Eliezer: “The world was created in Tishrei” (i.e., the sixth day of creation–the day on which Adam and Eve were created–was the 1st of Tishrei, celebrated each year as Rosh Hashanah); according to Rabbi Joshua, “The world was created in Nissan.” As interpreted by the Kabbalists and the Chassidic masters, the deeper meaning of these two views is that the physical world was created in Tishrei, while the “thought” or idea of creation was created in the month of Nissan. Nisan (Aviv) Always has 30 days. Mazal is Toleh (ram). Tribe is Reuben. Yocheved hides Moses after a 6 month and one day pregnancy – day 24. Artscroll Mesorah on Shavuos, page 61. The mitzvah of the Red Heifer was given to the Jewish people. Achashveirosh’s party of 180 days, begins. Esther 1:4, HaMeor SheBiMegila (Yeshua Gedola). Cyrus was crowned “King of Babylonia and King of all lands”. Plot of Bigthan and Teresh to assassinate Xerxes is discovered by Mordecai. Apocrypha; Book of Esther. Tishri (Ethanim) Always has 30 days. Mazal is Maznaim (Scales). Tribe is Dan. 1rst Moon is in Bethulah. The Awesome Days / Yamim Noraim, day 1. Period of teshuvah / repentance day 30. Torah section for the first day is Genesis 21:1-34, Numbers 29:1-6. Haftorah is 1 Samuel 1:1 – 2:10. Torah section for the second day is Genesis 22:1-24, Numbers 29:1-6. Haftorah is Jeremiah 31:1-19. This is the beginning of our time in the Wilderness or the end of it you could say, before we cross into the Promise Land, Heaven. This is where, when and how the journey begins. Tishri is also the FIRST MONTH, but, it also represents the SEVENTH DAY as it is also the SEVENTH MONTH and as we can see above, God will start His “7th DAY OF CREATION” on Tishri 1 or our September 14 but remember too, this is “HIS DAY OF REST”. What this shows too is that Tishri 1 or September 14 is both the Beginning (DAY ONE) and the End (DAY 7) – telling us that either way you look at it, WE ARE NOT HERE! Period of teshuvah / repentance day 40. The Awesome Days / Yamim Noraim, day 10. Avraham and his household were circumcised. Genesis 17:26-27, Meam Loez, vol II, pg 158. Moses returns from his 3rd, trip up Mount Sinai with 2nd tablets (yom sheni). (30 day from Elul 1, 2449). Torah section is Leviticus 16:1-34, Numbers 29:7-11. Haftorah is Isaiah 57:14 – 58:14. Torah section is Leviticus 18:1-30. Haftorah is The book of Jonah; Micah 7:18-20. March 20, 2015 (Adar 29/Nissan 1) was Solar Eclipse was the “Start Marker” but what is even more important, is the time between this and the next Blood Red Moon on April 4, 2015 or PASSOVER – 14/15 days. See, the last Blood Red Moon “End Marker” on September 28, lands on Sukkots (Feast of Tabernacles) and it is 14/15/ days from September 13, (Elul 29/Tishri 1) Feast of Trumpets, which is when the Partial Solar Eclipse occurs. Now, what is just a tad more than coincidental, is the “surprise” Blood Moon that appeared in the night sky on July 2/3 which “experts” say was caused by the burning wildfires in Canada. Really? So, tell me why was that 14/15 days prior to July 17/18 or Av 1/2, or this coming weekend? See, I believe for one it’s the time Jesus takes His “First-fruits” or the “First Call” and it’s the time for the Judgment due the nations for their sins against God and His Word. This occurs just prior to the start of God’s Tribulation time which I believe, begins the evening of the evening of July 25, 2015. I believe the First Call goes this weekend or early week, just before the Judgment begins, leaving the sleeping Church here to receive a little shaking to make them realize why they missed that First Call and the week starting July 19, the rest of the Bride and “watching” Church with the Jews, are both brought in as that will be the same week God’s Big Earthquake will be called down upon the earth, causing the Wall that was dividing and keeping both those groups from God will fall, thereby then allowing all the scales to be removed. Then on or around July 26/27 (which is Enoch’s Av 1 & Av 2), the 40 day Harvest will begin as they Bride will have received their Gifts, Teaching and Training during that prior week of July 19 and now will be ready to proceed out to walk the steps of our Lord Jesus, but also too follow in the steps of His Disciples after His Death when they received His Holy Spirit at Pentecost. This will be the time too, that the 2 Witnesses God has appointed will be known to the world…Enoch and Elijah. The festival of Sukkot, commemorating G-d’s enveloping protection of the Children of Israel during their 40-year journey through the desert (1313-1273 BCE), is celebrated for seven days, beginning from the eve of Tishrei 15. During this time, we are commanded to “dwell” in a sukkah — a hut of temporary construction, with a roof covering of raw, unfinished vegetable matter (branches, reeds, bamboo, etc.) — signifying the temporality and fragily of human habitation and man-made shelter and our utter dependence upon G-d’s protection and providence. “How [does one fulfill] the mitzvah of dwelling in the sukkah? One should eat, drink, and live in the sukkah, both day and night, as one lives in one’s house on the other days of the year: for seven days a person should make his home his temporary dwelling, and his sukkah his permanent dwelling” (Code of Jewish Law, Orach Chaim 639:1). According to Kabbalistic tradition, we are visited in the sukkah by seven supernalushpizin (“guests”) — Abraham, Isaac, Jacob, Moses, Aaron, Joseph and David. On each of the seven days of the festival, another of the seven ushpizin (in the above order) leads the group. “And you shall take for yourself on the first day,” instructs the Torah in Leviticus “the splendid fruit of a tree, fronds of dates, the branch of the thick-leafed tree and aravot of the river.” Torah SheBaal Peh (the oral tradition given to Moses at Sinai and handed through the generations, and later documented in the Mishnah and Talmud) identifies the four kinds as the etrog (citron), lulav (unopened palm branch), hadass (myrtle twig, of which three are taken) and aravah (willow, two twigs). The palm branch, three myrtle twigs and two willow twigs are bound together (with rings made from palm leaves). Each day of Sukkot — except Shabbat — we take the lulav in hand, recite a blessing over it, take hold of the etrog, hold the “Four Kinds” together, and move them back and forth in all directions (right, left, forward, up, down and back). An additional blessing, shehecheyanu, is recited the first time that the Four Kinds are taken during the festival. We also hold the Four Kinds during the Hallel prayer (moving them as above in specified places in the text) and the Hoshaanot prayers (during which we march around the reading table in the synagogue) which are included in the daily service each day of Sukkot. While water was poured each day of the fetival, the special celebrations were held only on Chol Hamoed since many of the elements of the celebration (e.g., the playing of musical instruments) are forbidden on Yom Tov. Today, we commemorate these joyous celebrations by holding Simchat Beit HaShoeivah (“joy of the water drawing”) events in the streets, with music and dancing. The Lubavitcher Rebbe initiated the custom of holding such celebrations on Shabbat and Yom Tov as well — without musical instruments of course. The fact that we cannot celebrate as we did in the Temple, said the Rebbe, means that we are free to celebrate the joy of Sukkot with singing and dancing every day of the festival. Jewish life is a calendar of objects: the shofar sounded on Rosh Hashanah, the sukkah constructed for Sukkot, the oil or candles lit on Chanukah evenings, the matzaheaten on Passover, and so on and on. Objects need to be a certain size. A 3-inch chair is not a chair (you can’t sit on it), nor is a 30-foot chair. That’s why Halachah (the code of law that defines the Jewish way of life) is full of specifications — the minimum quantity of matzah to be eaten on Passover, the maximum height of the Chanukah menorah. For a thing to be the thing it is, it cannot be too small, and it cannot be too big. The sukkah is defined as a “temporary dwelling” which, for the duration of the seven-day festival of Sukkot, becomes the home of the Jew. The sukkah therefore has a minimum height — under ten tefachim (about 40 inches) it’s not a “dwelling” but a crawl space. It cannot be too high either — if its ceiling is more than 20 amot (about 30 feet) above its floor, the sukkah is too massive to be considered a temporary dwelling. Torah law also specifies the sukkah’s minimum length and width, its minimum number of walls, the maximum of space allowed for gaps in the walls, under the walls and above the walls. And on it goes — certain portions of the Talmudic tractate of Sukkah and the corresponding chapters of the Code of Jewish Law read more like a builder’s manual than a religious text. The thing is, The Bride of Christ, is ready for their “permanent” tent or their “Forever Tabernacle” with God so therefore, that is what they receive first as The Bride has already experienced Passover where they accepted the Lamb of God’s Blood, Christ’s sacrifice on the Cross. They too have celebrated Pentecost as they received God’s Holy Spirit when they accepted the Lord Jesus unto themselves so unlike the other groups who have NOT done this or who have NOT celebrated these 2 Feasts of the Lord, they get to “Pass Go” so-to-speak where they go straight up to have eternal living or permanent dwelling (Tabernacle) with the Lord Jesus and God the Father. (I believe we will all again celebrate Pentecost in Heaven when we receive our “Gifts” and transformed bodies.) It is not until those that remain have also celebrated these 2 Feast of the Lord (on earth) that they too will be allowed their permanent residence in Heaven. In order to reach The Promise Land, they must “Passover Death” by placing the “Lamb’s Blood” over their “Doorpost” (accepting the Blood of Jesus and His Pure Sacrifice on the Cross as the Son of God) and then they must receive “God’s Word” or “His Spirit” in order to live where He does as they must have a Pure Heart, a Godly Spirit, removing themselves from their current earthly wants and nature of the Earth before being received in Heaven, God’s Eternal Home and Garden as it is said that we reside in the Garden of God’s Heart. Meaning…they have to change and be free of the enemies chains to earthly desires and idols as we did. HaShem visits Avraham following his circumcision. Genesis 17:26-27, Meam Loez, vol II, pg 158. Torah section is Leviticus 22:26 – 23:34; Numbers 29:12-16. Haftorah is Zechariah 14:1-21. These dates and patterns are from Betemunah.org at the following link: Betemunah.Org Feasts/Patterns/Days. I only showed just a glimpse but I would advise everyone to click on the above link and read these patterns as they will be repeated again. My thoughts from what I have learned is that God can and may complete this time in 3 1/2 weeks as all the days are here starting with the 17th/18th of July or Av 1/2. July is considered a 7th and 1st month and it just happens that all line up perfectly up to and including August 15, Av 30. We will see as it is His Time and He has these dates and times so perfectly arranged, it really doesn’t matter when it finishes. He has already cut it down to days/weeks or months, not years so considering what the world has been taught, what is a few months? We should be yelling from the housetops God’s Great Glory and Mercy! We are gone before anything “major” occurs so whenever He calls us Home is okie-dokie with me! I do believe however, He is going to do something quite unbelievable and I do believe He is going to do something NEW – something that has never been done before! I would not be surprised if He completes this in just 7 days, 2 weeks & 4 days, or 3 weeks, really! This is not going to happen as everyone thinks and has been taught. Even if He continues this to 2 month and 10 days or 3 months, that’s okay too because I know HE HAS ME AND HE HAS YOU! I have so much more to say…so much more but I will post the last 3 videos so you can watch my excitement and hopefully, join in! 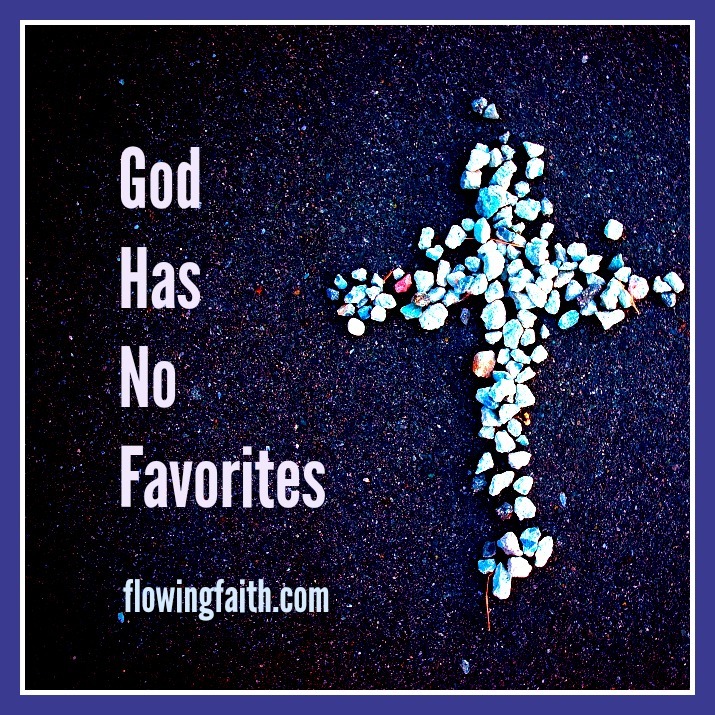 No fear and do not doubt your standing in the Lord or His Love for you, for us…HE HAS THIS COVERED! I’ll try to post again tomorrow, if we are here…you never know??? Much love, blessings and thank you’s to all my wonderful friends…SEE YOU SOON!